The participation of Sadako in this new European Project, called HR-Recycler (Hybrid Human-Robot Recycling plant for electrical and electronic equipment) supposes a new opportunity for the company to expand the impact of its technology in the waste and recycling industry. 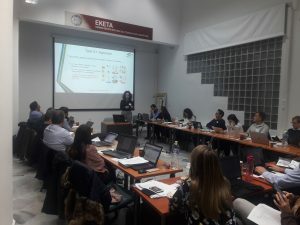 Leaded by CERTH (The Centre for Research and Technology-Hellas, located in Thessaloniki, Greece), the HR-Recycler project has 12 partners and has received a Grant of circa 7 million Euros from the European Commission under the Programme H2020- Technologies for Factories of the Future, on the specific topic Effective Industrial Human-Robot Collaboration (RIA). HR-Recycler will target the development of a ‘hybrid human-robot recycling plant for WEEE (Waste Electrical and Electronic Equipment) operating in an indoor environment. The fundamental aim of the system (and its great innovation potential) will be to replace multiple currently manual, expensive, hazardous and time-consuming tasks of WEEE materials pre-processing with correspondingly automatic robotic-based procedures (categorization of electric/electronic devices, disassembling them, sorting of device components), before the materials are eventually provided as input to a fine shredding machine and conventional material separation steps are applied (using air/water flows, oscillating movements, magnets, etc.). SADAKO is involved in the project as the main provider of the AI-powered vision needed for all the developments. The overall goal of HR-Recycler is to create a hybrid collaboration environment, where humans and robots will harmoniously share and undertake at the same time different processing and manipulation tasks, targeting the industrial application case of WEEE recycling. Porject has a duration of 3 years and a half, and it started on December 2018. 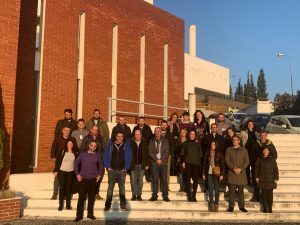 Its Kick-off-meeting has been held in Thessoliniki on 19th December 2018, with the attendance of all project partners. 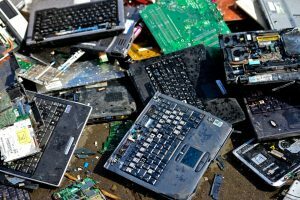 This new project is the first step of Sadako Technologies into the E-Waste industry, one of the most challenging, growing and valuable waste streams in today’s Society, heavy consumer of electrical and electronic devices.